Last weekend Emily and I went to Stillwater to hang out with Kristen [and by hang out, I mean help her move : )]. I wanted a small, quick project to take with me since I am currently working on a huge tweed sweater and I didn’t want to lug it around. A ball of Araucania Ranco Solid has been staring at me from my knitting basket for a while and before we left I decided that it ought to be a February Baby Sweater (ravelry link) (or Baby Sweater on Two Needles) from Elizabeth Zimmermann’s Knitter’s Almanac. I’ve been wanting to try out this pattern for a while, so I was excited to get started! 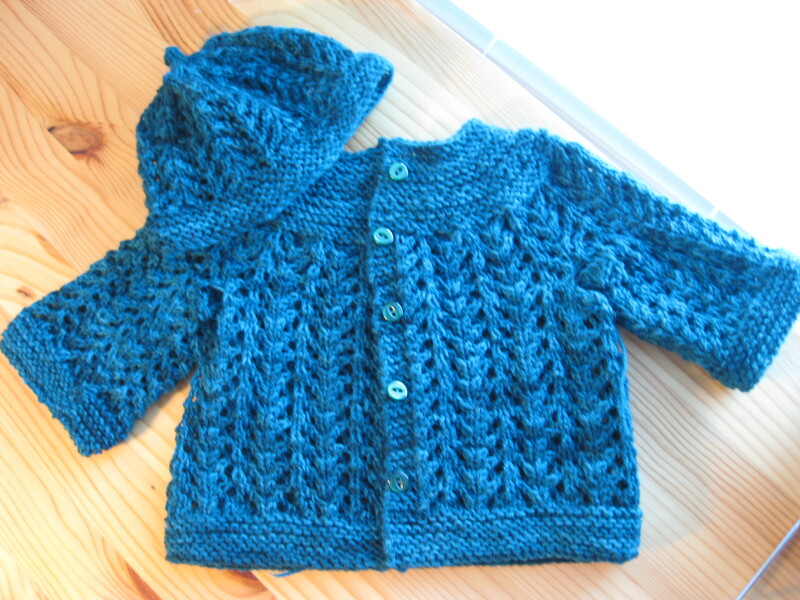 It turns out that Araucania is ideal for this pattern, and the result is one of the cutest things I’ve ever created! 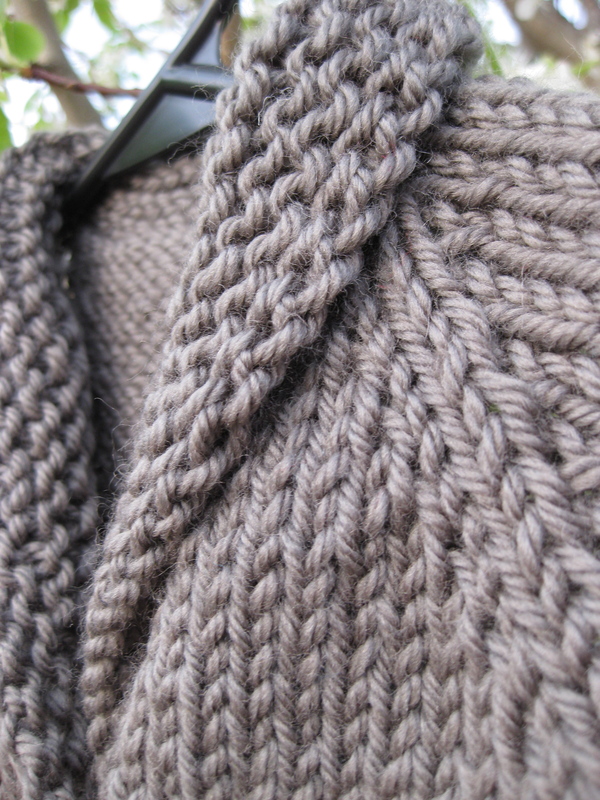 The only modification I made (and it’s not really a change) was to knit the sleeves in the round to eliminate seaming. 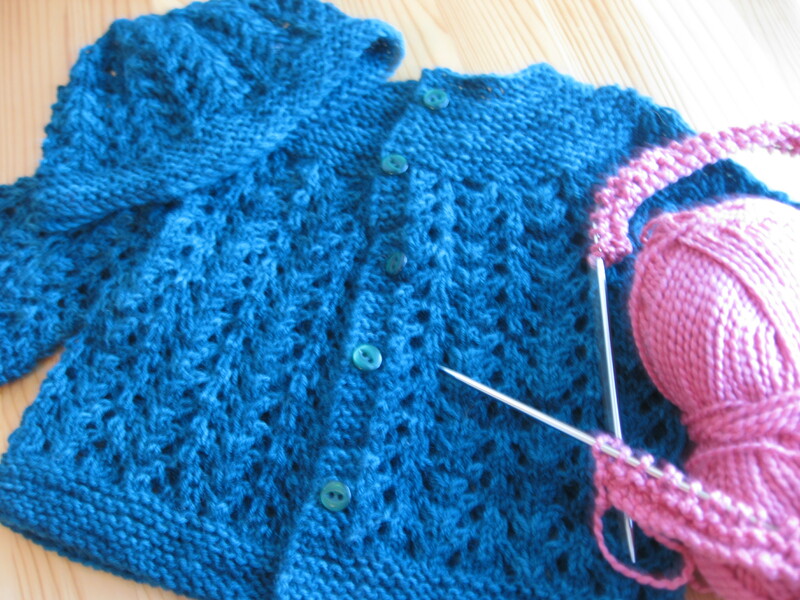 To do this, I cast on 14 stitches at the beginning of the sleeves and then worked them in the round using magic loop. 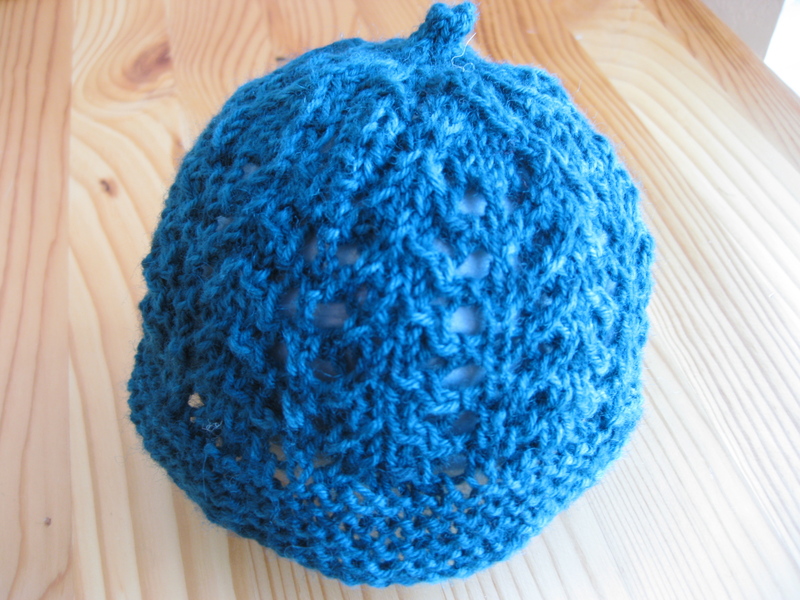 After finishing the sweater I had plenty of yarn left over, so I decided to try out a baby hat. The hat uses the gull lace pattern from the sweater and the decreases are designed to look like they are a continuation of the lace. I’m going to write up what I did and post it here if anyone is interested. I think the only thing I would do differently is make the hat a little longer. 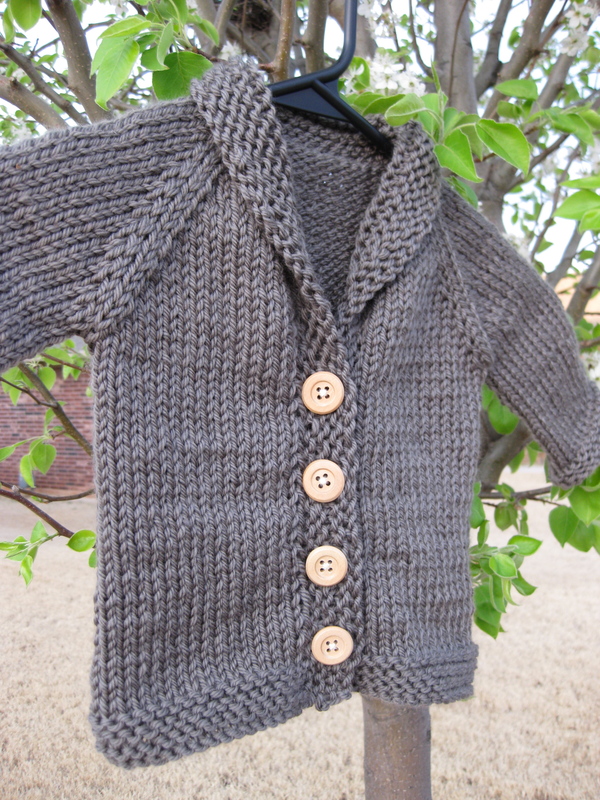 What do those of you with little baby heads to knit for think? Does the hat look like it needs more length? 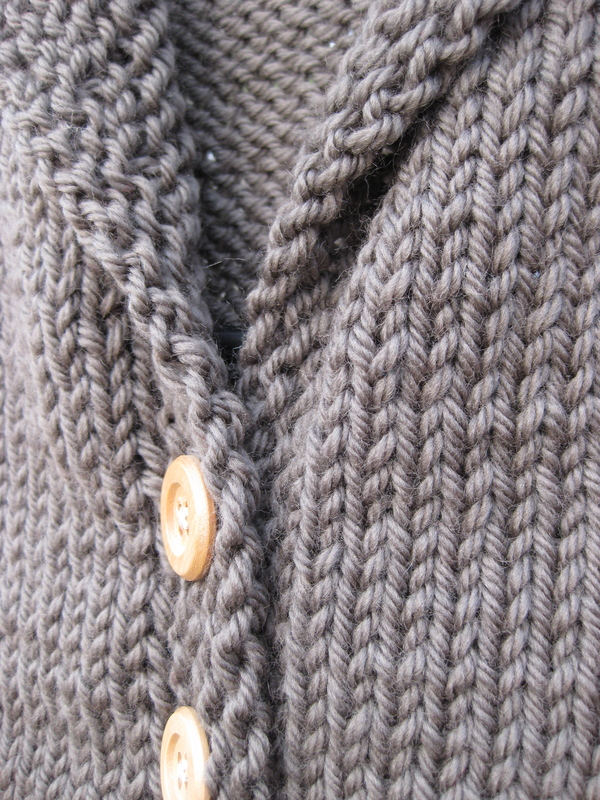 I liked the February Baby Sweater so much that I’ve moved onto the February Lady Sweater by Pamela Wynne. Since it’s summer, I wanted to use cotton to make a lightweight version. I chose Mission Falls 1824 Cotton in coral. So far so good . . . 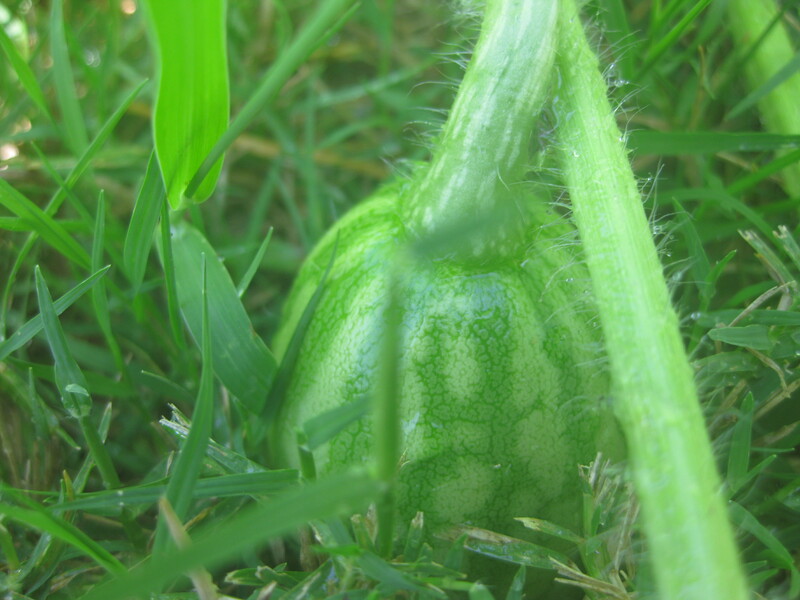 In completely un-knitting related news – there’s a watermelon in the garden!!!! There’s a bunch of other stuff, but I’m most excited about this little guy!